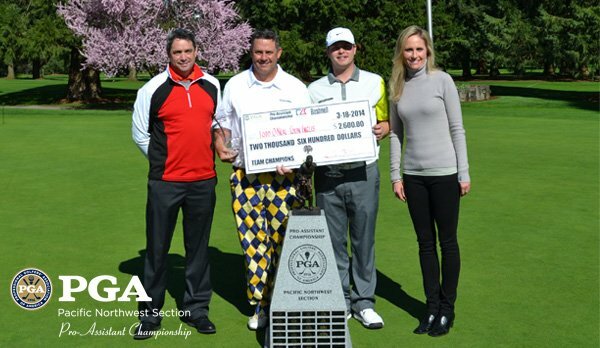 Entries are now available for the PNW Pro-Assistant Championship, to be held March 16-17 at Meridian Valley CC. Head PGA Professional Greg Manley is excited to host this year. Join us for both the tournament and our Section Spring Meeting which will immediately follow our first round at 7:00 pm. The meeting will be worth at least 2 MSR credits in required PGA Education, and it’s the only Section meeting where you can wear golf attire (although a jacket is also acceptable)! Sally Schmitz is back as a sponsor of the Pro-Assistant Championship with Bushnell. Bushnell has been the industry leader in high performance sports optics for over 50 years, which offering cutting-edge technology on a wide array of rangefinders. Bryan Dickson is also a returning sponsor with Cutter & Buck. Cutter & Buck is a premier line of golf-inspired apparel for men and women who appreciate innovative, high-quality sportswear and was founded in Seattle, Washington in 1989. Thanks also to Matt Pollitt and PTE Golf for returning as a supporting sponsor. The Pacific Northwest Pro-Assistant Championship launched into the tournament world in 1992 with a seven hole sudden-death match between the Progress Downs team of Jerry Minor/Ralph West and the Royal Oaks team of Steve Bowen/Michael Wilkerson, with the latter team being victorious. Teams are made up of Directors of Golf, General Managers or Head Professionals paired with their Assistant Professionals. Bosses, this is an excellent opportunity to bond with your employees in a fun, team competition! 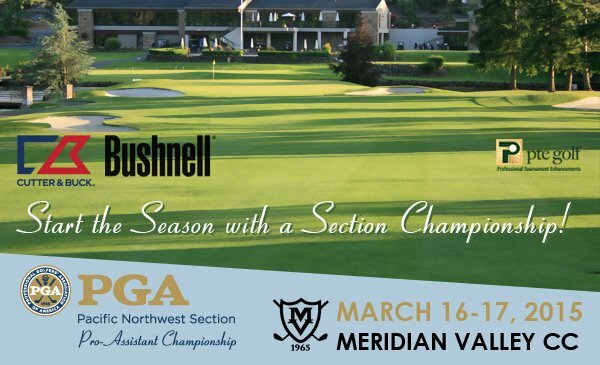 Start the season with the PNW Pro-Assistant Championship and Section Spring Meeting, at beautiful Meridian Valley CC. This exceptional 18-hole layout was designed by Ted Robinson, one of the nation’s leading golf course architects, who chose the site based on the stunning views the surrounding area provided. MVCC opened in 1967 with 9 holes ready for play. The second nine holes and clubhouse opened in 1968. Over the years, MVCC has grown into one of the Northwest’s most respected golf courses. It has hosted the 1972, 1976, 2002, 2004, 2005, and 2009, 2013 and 2014 Washington Open Invitational, as well as the SAFECO Classic from 1982 until 1999.